Dubai officials issued arrest warrants for 11 suspects alleged to be behind the Jan. 20 murder of Mahmoud al-Mabhouh, a top official in the Palestinian militant group Hamas. The movements of the accused were caught on surveillance tape, which caused a sensation after it was released. TIME looks back at past assassination plots that have gripped the world. The Israeli-Palestinian conflict took a thrilling turn on Sept. 25, 1997, after an assassination attempt against a Palestinian militant-group official unraveled into a complicated saga better suited for the pages of a Tom Clancy novel than for the daily news. 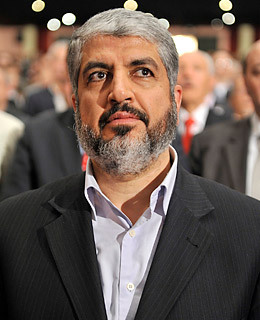 In retaliation for a Hamas-orchestrated bombing that killed 16 Israelis in July 1997, Israeli Prime Minister Benjamin Netanyahu ordered a hit against Hamas leader Khaled Meshaal in Jordan, where he was living at the time. Two agents from the Israeli intelligence agency Mossad carrying forged Canadian passports stung Meshaal in the ear with a poisoned device as he was leaving his office suite in Amman. The assailants were caught by Meshaal's bodyguard and confessed their involvement with the Israeli agency to Jordanian officials. The plot thickened when Jordan's King Hussein called Netanyahu to demand the antidote to save the injured leader, who by then was in critical condition and threatening to sever diplomatic ties with the Jewish state, try the captured agents and publicly hang them. Though Netanyahu initially resisted, he consented after President Bill Clinton intervened. The antidote was surrendered, and Meshaal's life was saved.